Crave - Yo Gabba Gabba! 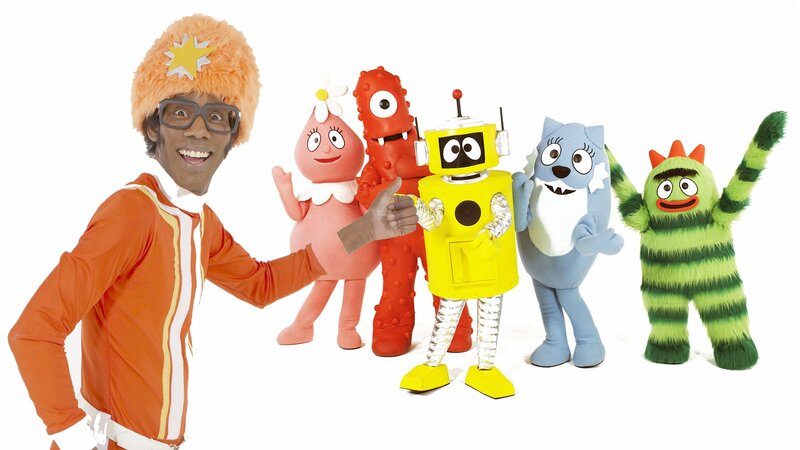 DJ Lance Rock starts the fun each show with the magic words "Yo Gabba Gabba!" Five friendly monsters -- Muno, Brobee, Foofa, Toodee and Plex -- encourage kids to sing and dance along with the preschool series. Part animated and part live action, "Yo Gabba Gabba!" mixes cartoons and magical ideas into the musical episodes. Eating vegetables and healthy meals; trying new foods; cleaning up messes. The characters of Gabba Land capture the happiness of summer; outdoor activities; pool party. Ways to have fun; dancing and making music; the Aggrolites perform. Dancing and music; getting too excited. The benefits of sleeping; using imagination; getting ready for bed; Smoosh performs. Overcoming sadness; hugging; Foofa sings about things that make her feel good; the Salteens perform. Having fun with friends; appreciating and respecting people. Safety; trying things more than once; snowballs. The Gabba gang finds different ways to learn about and not be afraid of new things. The Gabba gang dresses in Halloween costumes; changing seasons; Shiny Toy Guns perform. The Gabba gang learns how to greet people and create fun new ways to introduce themselves. The Wolfgramms perform. The Gabba gang learns how to maintain control; focusing on coordination. The Gabba gang learns about faces, playing games and teamwork. The Gabba gang learns about giving gifts; celebrating winter and the holiday season. The Gabba gang goes for a ride in a car and learns about seat belts. The Gabba gang learns about sharing; Cornelius performs. The Gabba gang discovers things that may be different or frightening; learning about animals. The gang learns how to overcome fears; the parts of a train. The gang learns that it is all right to love; the Postmarks perform. Using imagination; cheering a friend; different muscles in the body; the Shins perform.